WE IN THE alternative media denounce the attempt to silence respected journalist Inday Espina Varona, whose account was disabled by social media site Facebook. Varona’s verified FB account was blocked today after she was apparently reported as “not following Community Standards” by an individual or individuals who cannot abide her reporting and commentary on public issues. Varona is a known opinion leader in social media and has been vocal about the illegal burial of the late dictator Ferdinand Marcos at the Libingan ng mga Bayani. She has been actively covering and supporting the Black Friday protests against the burial as well as the schemes of the Marcos family to return to power. 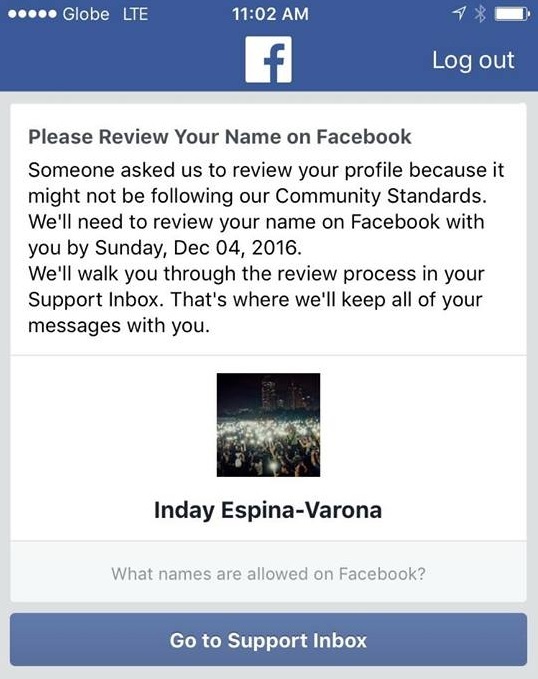 This is not the first time that Varona’s account was reported to Facebook. Only last June, the social media site also blocked several accounts and posts of journalists, including Varona’s, after they shared posts criticizing the Marcos family. Facebook later admitted that it committed a mistake in censoring these posts. We find it ironic that as we journalists voice our concern about the return of Marcosian rule, one of our colleagues, in her practice of responsible journalism, is facing the kind of censorship characteristic of the martial law regime that Ferdinand Marcos mounted. We are deeply disturbed that Facebook can summarily block any site, and censor posts and accounts without verifying the legitimacy of the complaints of those offended by free expression and opinions different from theirs. We demand that Facebook review and amend its process in determining which accounts are legitimate or not, and to put an end to the spread of misinformation and what amounts to an assault on free expression. We are one with Varona and fellow advocacy journalists on Facebook in demanding the reactivation of her FB account. Everyone including journalists must be free to report and express their opinions, without interference. We encourage other colleagues in the media community, as well as concerned citizens, to join us in defending our civil right to free expression. We will not be silenced, in Facebook or elsewhere.